I had so many things I wanted to blog about, but I’ve genuinely not had time. I spend very little time online these days, generally once a day, in the morning, for about half an hour while I have breakfast. Sometimes I go on for a few minutes in the afternoon or evening, and then I’m on the computer for an hour or two on Fridays to write up what we’ve done for the week and plan the next week. And that’s pretty much it. I was also pondering that since my last post about methods in March, I haven’t really talked about methods. It truly was my final answer…until now. One of the reasons I’ve not had much time for blogging is our new schedule. We’re pretty much full steam now using The Well-Trained Mind, and it’s taking us about 3.5 hours everyday to get through everything (and I still need to add spelling…more about that later). Stiggy seems to be happy spending this much time on his lessons, but I’m not completely happy with what we’re doing and how we’re doing it. Let’s be honest: of all the non school-at-home homeschooling methods, The Well-Trained Mind is the most school-ish. It’s demanding and at times…dull. Our day has a sort of finish-this-up-because-we’ve-got-to-move-on feel. There’s no time for discussion, no time to stop and absorb what we’ve just read or done…no time to think. It’s too manic. And I can sense that Stiggy’s passion for learning has been dampened somewhat. I’ve realised that the areas with which I’m happy are those which fit into the Charlotte Mason style of homeschooling as well. Singapore Math is great, Italic handwriting is a hit, narration and copywork are going well, Stiggy enjoys classical music and poetry, has a blast with handicrafts, loves learning about plants, animals and nature, and he loves being read to. The areas that are not going well are reading and history. They’re small problems, really. Science is a major problem, though. The Modern Curriculum Press Phonics workbooks are going to go. We’re just finishing up level a and we were planning to go on to level b, but that’s not happening. These workbooks are doing little, if anything, to further his reading ability now. At first they were fun, but now they’re a source of frustration and a waste of time. So, we’re cutting them out. History: I vowed when I began homeschooling I would not administer comprehension questions; that’s what narration is for. But I find myself using the questions in the Story of the World activity book. Big mistake. I don’t expect Stiggy to answer every question perfectly, but I do feel a certain level of frustration when he can’t answer some of the questions that I feel he should be able to. See, I’ve fallen into the schooling trap of finding out what a child doesn’t know, instead of what he does. Even the authors of The Well-Trained Mind have said that history is not essential for grammar stage children. It’s nice if you can fit it in, but it shouldn’t get in the way of the basics. I’ve let history become more important than it should be at this stage. (Partly because we both love it…which is funny because I hated history in school). So, no more questions, just narration (which he usually does beautifully). I also need to add in more liberal arts: more poetry, more art, more music, etc. More time for discussion, more time to let things marinate. It’s not about ‘covering’ it all. It’s better to really take in one lesson, than to merely ‘cover’ and forget ten. I’ve been re-reading Karen Andreola’s A Charlotte Mason Companion. I love this book; it’s so inspiring. And although I don’t agree with all of Miss Mason’s ideas (like her views on spelling and grammar), I’m warming to some that I had previously dismissed, such as short lessons (at least for the younger grades). -Each day Stiggy chooses a book to read. I then choose a short sentence and he uses a movable alphabet and dictates it. One or 2 pages from MCP phonics workbook. Reading is done daily and now takes 10-15 minutes. -Read a section or chapter from chosen work of literature (usually corresponding to time period in history). Myths, Aesop’s Fables, fairy tales, etc…done daily. One manic poetry reading session of about 15 poems per week. Read one or two poems daily. -Using Writing with Ease. This is quite CM-friendly (at least at this point). It’s simply narration and copywork. Stiggy narrates 2 times a week and I produce a one-sentence copywork 3 times a week from his literature selections. We do 4 lessons a week, plus a fun activity from Games for Writing. -First Language Lessons. Although CM is against teaching grammar to young children, Stiggy enjoys these lessons, and they only take 5 or 10 minutes. We do 3 lessons a week, Mad Libs once a week, and we’ve done a little reading from Grammar Land, but will be putting it away for now as it’s not needed. -Getty-Dubay italics. Stiggy learns two new letters each week, one on Monday, the other on Wednesday. He practices on the other days. Handwriting is done daily and takes 5-10 minutes. -I’m planning to use Sequential Spelling as I don’t think Stiggy will learn to spell from copywork alone (Here’s a great post about this topic at a favourite blog of mine). I think these lessons take 10-15 minutes. -We use Singapore Math along with lots of supplemental activities and stories. Math is done daily and takes 15-30 minutes. -We use Story of the World. We do 1 or 2 chapters a week, Stiggy narrates, answers the comprehension questions, does the colouring page one day, map work on another, and we look at the Usborne World History Encyclopedia. We also supplement with Horrible Histories and other books from the library. SOTW is done 2-3 days a week. We’re also doing British History1 day a week using The Usborne History of Britain. I read a section and Stiggy narrates. Geography is done via the maps in SOTW and I drill him with our globe (continents, equator, hemispheres, and oceans) once a week (takes about 2 minutes). No memorisation just yet, apart from Geography. History is done 5 days a week and takes 20-40 minutes. That’s a long time, but stiggy loves it. -I’m not at all happy with science. We’ve been doing it WTM-style and it’s really dull studying one animal a week and nothing else, week after week. I’m going totally CM with this now. We’ll be using The Burgess books, James Herriot’s Treasury for Children, Ranger Rick magazine, The Handbook of Nature Study, and other CM goodies. We’ll also have a day of doing whatever Stiggy wants and doing little experiments, concoctions…whatever. He’s constantly asking science-related questions (‘how do magnets work…what are the names of the planets…will this float…?) and I’m forever saying, ‘You’ll learn about that later/next year/in 3 years…’ !!! That’s just silly; if he’s interested, we should just learn about it. I want to do science 3-5 times a week. -We were going to use Little Big Minds and study philosophy, but I’ve decided to hold off until grade 4. –Done rarely. I want to do handicrafts several times a week. We always feel good when we’ve done something like baking a cake or cleaning together. -Free reign with art, and I also want to start using Drawing with Children. I want to do art 2 or 3 days a week. We listen to classical music while doing art. I will introduce artist and composer study possibly next year. I’m still planning to follow the 4-year history rotation and will do logic and rhetoric in the later years. But I think Charlotte Mason’s methods suit us better, although I’m not sure what other changes to make to give us more discussion/digestion time. I know most people don’t do history and science 5 days a week, but I’m not sure how to cut it back. Hmmm, maybe if we do the ‘must-do’s’ first, then work through the other stuff if there’s time. That could work. I was toying with the idea of skipping the extra year of kindergarten and doing first grade. One reason is that the idea of plugging along exactly as we are did little to excite me. I like a bit of change. I’m also slightly concerned because when his age-mates are finishing school, he’ll still have a year left (by Well-Trained Mind standards, anyway; academically he should hopefully be ahead) since children begin school at 4 in England. Add to that, Stiggy is ready for first grade math, could probably handle First Language Lessons, but he’s not ready for history, science notebooking, or much of the literature selection for first grade. I’ve decided not to worry about him being a year ‘behind’ at this point; we have no idea where we’ll be that many years from now. And instead of just trundling along, we’re going to add some subjects, make a few curriculum changes, and get some new books. We’ll be doing sort of an advanced kindergarten (by WTM standards; he’ll be at or above national curriculum standards for his age). I’m hoping this year to get through The Ordinary Parent’s Guide. We’ll finish off Modern Curriculum Press Phonics level A and move on to level B. (Level A is quite a big book and there’s quite a difference in ability level between the two, so I’m in no rush to begin the next level) I’m hoping Stiggy will become an independent reader this year. It won’t be a catastrophe if we don’t get there; we’ll keep working on it and move on to first grade. I’m certainly not going to hold him back with math: we’ll be using Singapore Math 1A and 1B, not kindergarten math. He can count beyond 100, count by 10’s, knows his shapes, understands halves and quarters, is comfortable with a calendar, and understands the concept of addition and subtraction. He’s even done some bar graphing. First grade math should be fun for him. Handwriting: Getty-Dubay Italic handwriting series level A, supplemented with these printables. Stiggy’s really developing a love for science, particularly life science, so we’ll be doing lots of nature study using The Handbook of Nature Study (see my sidebar to read it online for free), living books like The Bee People, the Burgess books, etc. (these and others free online, see sidebar), plus library books, Ranger Rick magazine, and little experiments and projects. Quite unstructured. As an introduction to history, we’ll be learning about people & places. We’ll study a different country every 5 weeks, locate it on the globe/map, look at the atlas, learn about the culture and language(s), the way people dress, the food they eat, etc; read stories and folktales from that country, learn what the climate is like, maybe read about famous people, and use Hands Around the World as well as The Kid’s Multicultural Art Book. I’m hoping this isn’t going to require as much preparation work as I think it will. I also need to work on religious instruction. My husband was suppose to do this with Stiggy, and he has done some, but it’s not enough. I’ve got some great resources for that, so I need to formulate a plan. We’ll be studying Philosophy this year. Yup, philosophy. 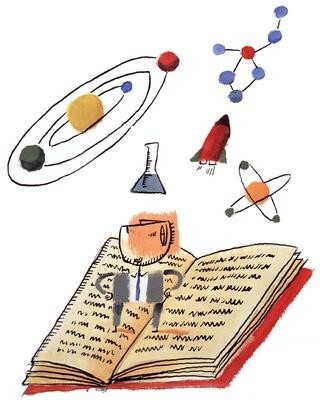 I’ll be using this book: Little Big Minds: Sharing Philosophy with Kids. I’ve not read it yet, so I’m not sure how it’s done, but I’m quite excited about this one. We’ll be using Drawing with Children for art, which is recommended for first graders in The Well-Trained Mind. Artistic Pursuits has a kindergarten book, but it’s pricey and it sounds similar to Young at Art, which we used last year. We may also use The Anti-Coloring Book by Susan Striker. I think this will go along well with Drawing with Children. There are several of these, so if they go down well, we can get more. We’ll also begin some gentle copywork (he does some self-initiated copy work already from time-to-time, but I’m going to assign some, too), advance the narrations and dictation, and do more with memorisation. This year, memorisation consisted mainly of memorising phonics rules, the Arabic alphabet, some prayers, our address and phone number, Stiggy’s birthdate, and other bits and pieces. He’s memorised nursery rhymes and huge chunks of stories on his own. I’m hoping to have him memorise short Qur’an verses, a few little poems, more little prayers, and whatever else seems useful and relevant. Not sure what we’ll do for handicrafts. We may start a little hand sewing and finger knitting, and continue with cooking and baking. I’d love for him to be able to do woodworking; I need to see if there’s something like that in our area. PE: Still trying to find a martial arts class for him. The one place I found only takes students over aged 8, and the other place was really expensive (£7 per class!). He’s going to try a wrestling class and we’ve got some other ideas we need to look into. We’ll continue with yoga and just keep generally active and playful. Stiggy doesn’t sit around much, so it’s not really an issue. Poetry and music will continue as before, just enjoying them without ‘studying’ them. I’m really excited about our next year. I’ve started ordering a few books, so I’ve got a lot of reading and planning to do to get it all ready for September (as well as the planning I’m doing for first grade). It’s going to be Ramadan then, and I’ll be fasting, so we won’t be doing all subjects that month (and wouldn’t be even if it weren’t Ramadan), but I want it all planned and ready to go. In September we’ll focus mostly on religion, reading, handwriting, and math, then slowly add in more subjects. That’s the plan. I’m sure it will change quite a bit.